Wow what a quarter, I have managed to read 94 books and most of them this quarter were fiction. And have read 183 books since January 1st. I have built out an awesome and ever expanding Catholic reading list for 2016. There are some amazing books in these lists! Though to be honest working from my favorite and influential books by year list it was very hard to narrow down to the top ten fiction list this quarter. 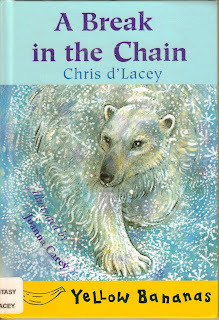 My top two fiction authors each with almost a book a week are Andrew Clements and Chris d'Lacey! 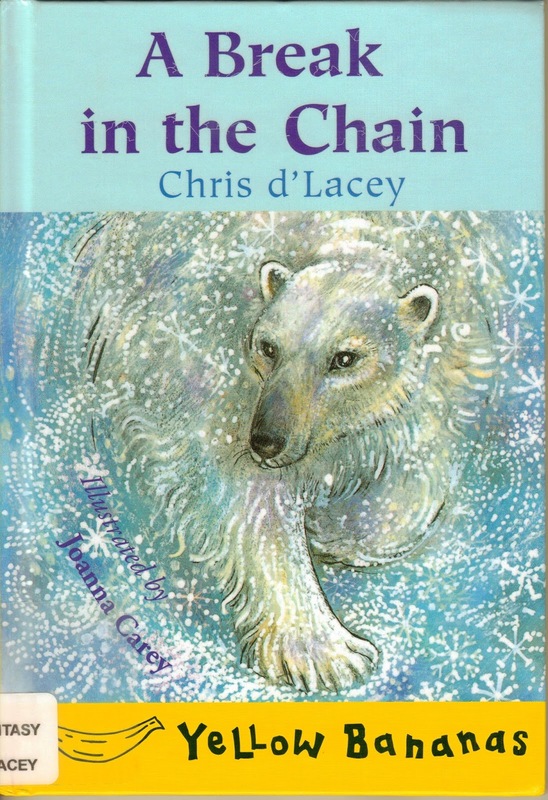 Honourable mention to other books by d'Lacey and Clements! Looking forward to what the next quarter will bring, and it is going to be very hard at the end of the year to narrow it down to a final Top 10 of 2016! I have read a number of books by Erin Bow, both here young adult fiction and her poetry published under the name Erin Noteboom. Most of her books were hard to put down. 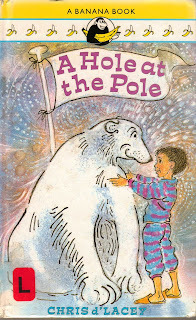 But because I was reading a physical ARC of this book it was only read at home, mostly later in the evening. As such the read of this book took longer than most books I read. And in many ways that was a good thing. This book is cognitive fiction, as you read or even after you finish you will find yourself, thinking, reflecting and ruminating on some of the themes and motif's presented. What does it mean to be human, to be loyal, and to love? To see something you desperately want slipping through your fingers and not knowing how to stop it? To want to save the world, but lose sight of the individuals while focusing on the masses. To be an AI connected to the whole world and lose that? To be willing to sacrifice, but having to figure out what is worth sacrificing and what is not no matter the cost. These and more are some of the things I reflected upon while reading this book. Bow writes a powerful narrative, filled with passion, a few betrayals, loyalty, friendship and love. Greta Stuart expected to die young, as a prisoner of peace, she knew she would likely die because of a war over water rights. But she accepted a different path. She chose to become an AI, but having been raised royalty, living as a hostage left a mark on her, and as she gave up her humanity she committed to fighting to be even more human than before. 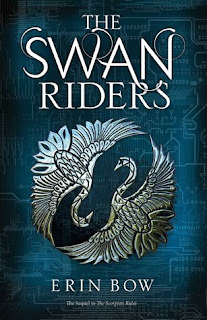 The swan riders are loyal servants of the AI's they are the boots on the ground in a global peace keeping initiative started s few hundred years ago, when the control of all the weapons platforms in space was taken over by the AI's. So Talis (aka Michael), Greta the new AI, and two swan riders as guards are riding across a post-apocalyptic Saskatchewan, with lots of time for discussion, discovery and difficulties . And in all of this Greta is the most precious cargo of all the first new AI in over 100 years. Greta has some serious influence in how all these complicated events are going to play out. 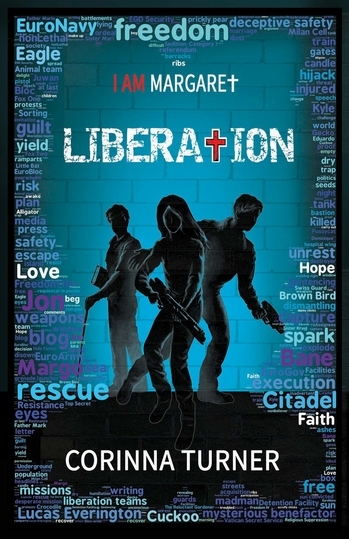 There are some LGBT themes in this book, though not as overt as in the first volume. A major part of the plot does revolve around relationships, and how those dynamics can change when a second intelligence can use a host body, thus changing things a lot. To some extent the majority of the book is about relationship, relationship on a personal level, with the demigod AI's, with the nations under the thumb of threat. And how those different levels interact and influence decisions and reactions. The book is well written and again the strongest part of the characters. We experience a lot of growth in both Greta, and Elian. We also see a sort of metamorphosis in Michael (Talis). It was an interesting follow up novel, I was not quite as impressed as I was when I read Scorpion Rules, but still a very good book. Thank you Erin Bow for another interesting adventure. I have read this book through and know that I will read It again. It was inspiring, motivating and encouraging. This book is also reprint of the book originally called Immersed in God. I first started reading about Opus Dei and Saint Josemaria Escriva the founder over a decade ago. And yet the more I read, the more I am impressed with both the man and the organization. And this book was an incredible read, opening up the life of the man and the work from one of the earlier members, Blessed Alvaro del Portillo. Bishop Alvaro del Portillo lived with and worked closely with Josemaria Escriva for 40 years. The faith of both men come through in the book, their friendship, their support for each other and their dedication to serving the Church. The book is an interview with the back and forth between Cavalleri and del Portillo. Some of the stories in this book have different versions told elsewhere. But many of them are new. It is the personal account of a life lived in service. A life committed to following Gods leadings, guidance an immense trust in Gods provision. This book was an excellent read. It will challenge your faith and how you live it out. 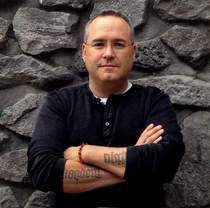 The examples of Escriva and del Portillo will both motivate and encourage. This book is wonderful and I encourage you to give it a read with an open heart! 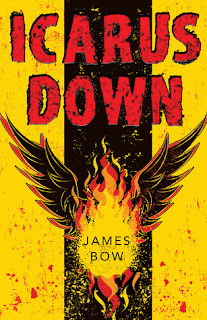 I have read two other books by James Bow and greatly enjoyed them, but this book takes my appreciation of his writing to a whole new level. It was interesting I was reading both this book, and The Swan Riders - Prisoners of Peace book 2 by his wife Erin Bow at the same time. I was reading the eBook of this and a printed advance copy of Swan Riders. Slowly this book started monopolizing more and more of my time until I rushed through to finish it first. It got to the point where I just could not put this book down, I ended up taking a long lunch at work to finish it one day. This story is gripping with a great intensity even with the slow pace of the story and is compelling in the message it conveys and how it is presented. 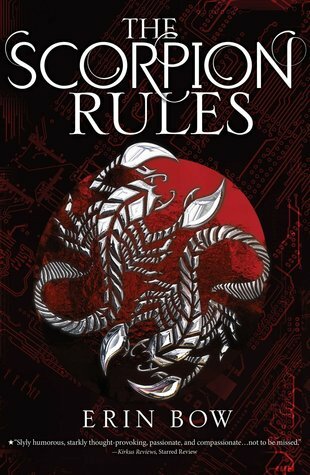 It a world founded on lies and secrets a group of humans spread across thirteen cities suspended in chasms live a perilous life. The sun will easily kill humans if in it directly for long, but there are monsters in the fog below on the ground. Much of the technology that brought them here was lost in the first few days because of how harsh an environment it is and wiring just fried. And now their world is about to be turned upside down. Simon Daud just wanted to be a pilot. And on his final flight test something goes terribly wrong. His brother is lost and he is horribly burned. But he survived. 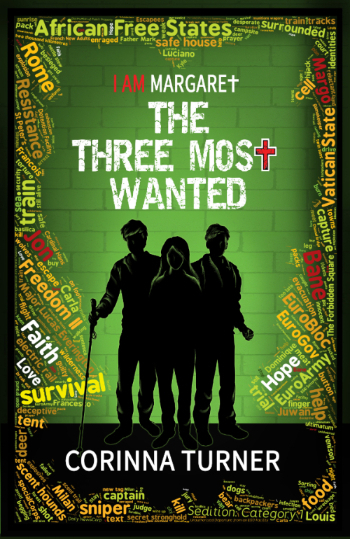 But soon his life is in upheaval as he finds out secrets his friends, his brother and even his mother had kept from him. He must decide if he will help the group known as grounders. But all that changes when his city is sabotaged and crashed to the ground. And with that he is abandoned to the fog forest. And this is where things get even more interesting. Tic Tic Tic. This book as mentioned was very hard to put down. In some ways it reminds me of reading Dune by Frank Herbert when I was much younger. And it is also reminiscent of some themes Robert A. Heinlein, especially Stanger in a Strange Land. Humans who want to leave earth and the veil we have done to one another, only to succumb to what we hate most. The masses deceived and fooled by a few for many, many years. And learning to accept the self through finally understanding the alien, and through that recognising the alien within us all. The characters in this story are masterfully written, from Simon and Eliza to the nefarious Tal. The characters are one of this books greatest strengths. Another is the pace of the plot, the time travelling and learning. The discoveries and having to learn to accept and live with them. And I loved how the story was told back and forth, the first part of the book is Simon's story and then it is told back and forth from both Simon and Eliza or EK-TAAK-TOCK-TAAK, point of view. Overall I cannot think of a single criticism of this book. The closest would maybe be that I wish it was written in such a way that the story would continue. This is wonderful read in a classic science fiction style and I wish I could give it more than 5 stars! This book was an incredible read. 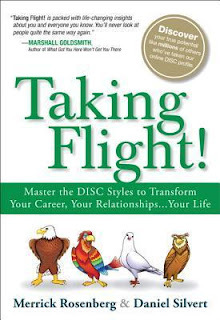 It takes the personality types of the DISC style and convert's them into birds. And then through a series of short parables the different birds learn to maximize the advantages of their type and how to overcome some of the weaknesses. The material is very easy to access based on the way it is presented. This is one of the best personal development books I have ever read. 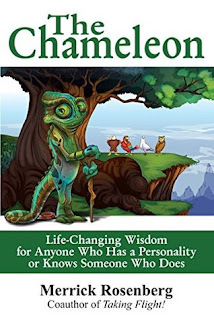 The Chameleon: Life-Changing Wisdom for Anyone Who has a Personality or Knows Someone Who Does by Merrick Rosenberg. The book reads much like Patrick Lencioni's leadership books, for each chapter is a parable teaching a lesson based on the bird types. But it is also part the 5 Love Languages and part stoic wisdom. Merrick uses the birds because once people hear him speak about the birds they never forget their bird type. But for years people came up to him saying they had heard him speak, or read about DISC bust usually were not sure what their type was. The description of the book is: "Laugh And Learn Through Twenty-Two Entertaining Fables That Reflect The Challenges You Experience In Your Life story. Guided by an all-knowing chameleon, four unassuming birds play the roles of the personality styles. The insights gained from their interactions and struggles will lift you to new heights of understanding yourself. Let the Wisdom of The Chameleon Enable You to Effortlessly Adapt to the People and Situations Around You. This book will be an excellent resource for both your personal and your professional live. The lessons learned will be applicable in your interactions with others. 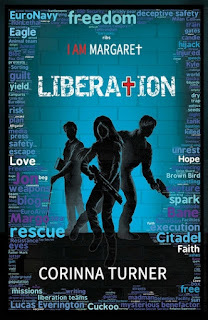 I already have plans to read it again and also check other Merrick's other book Taking Flight! It is a great little read and I thing you will be interested in it, and will greatly benefit from this great read. Years ago I took a Greens product every day for a long, long time. It took me a while to find one I liked and I stuck with it. Eventually the manufacturer changed the formula and I could not stand the taste. I have tried over a dozen greens products in the last few years and have yet to find one I really like and was at a price point I was willing to spend. That was until I came across this one. I have finally found a Greens supplement that is very palatable, has quality ingredients and at a great price. 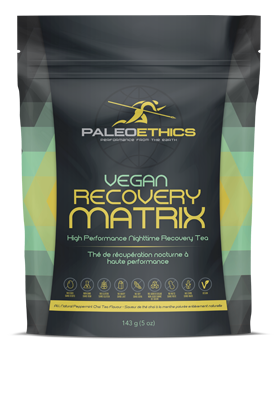 Spirulina, Spinach, Kale, Parsley, Kelp, Moringa Leaf, Chlorella, Apple, Sweet Potato, Carrot, Broccoli, Red Beet, Coconut, Acai, Pomegranate, Goji, Blueberry, Greet Tea, Grape Seed, Ginseng, Ginger, Milk Thistle and Licorice Root. 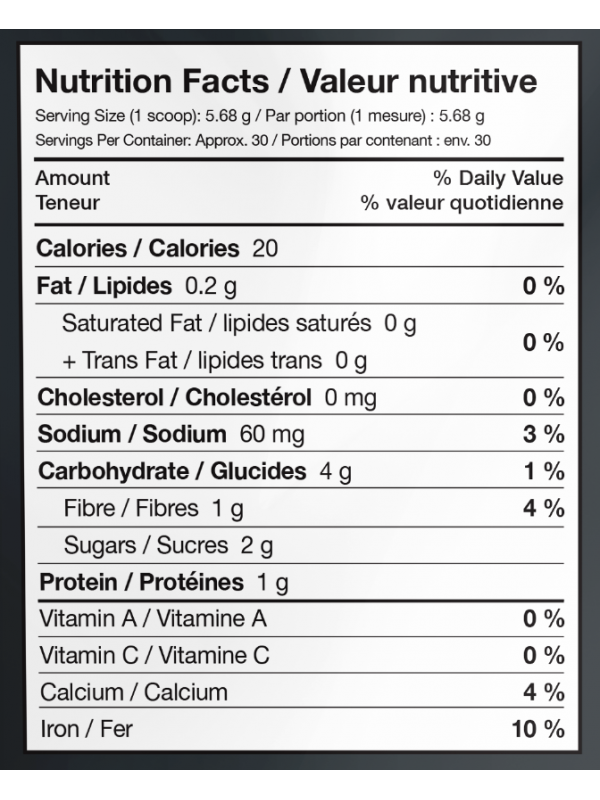 What I like about this product most is that it has a very mild flavour. It has not been made overly sweet. 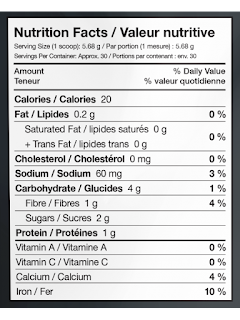 It is great mixed with juice and is palatable enough to even have just with water. And unlike a lot of other greens I have tried this one completely dissolves even with room temperature liquid. There is no aftertaste and no sludge when you get to the end. Another great benefit is that this product is hypoallergenic, it is egg, GMO, gluten, dairy, soy, nuts, corn and sugar free. This is the best greens product I have tried and I have gone through dozens. I am glad to have found a produce that I can use day in and day out for that extra oomph. My plans are to use this as a daily supplement and also a second dose occasionally on those days that take more out of you or when fighting off a flu or cold. This was excellent and I look forward to trying more products from Paleo Ethics! I do not read a lot of physical books any more. In fact in the range of 30 or 40 eBooks to every physical book. But this book came highly recommended to me and I am very grateful I took the risk. I did not know much about the book, the author or even the subject. But I respected the friend who recommended it enough to take the risk. "Early in the Korean War Chinese forces surrounded troops of the 1st Cavalry Division. Trying to escape-the American soldiers warned Catholic Chaplain Emil Kapaun. However, he refused to leave his wounded comrades and became a POW. His decision marked a turning point in the inspiring life of this young catholic priest. Kapaun's faith and courage on the battlefield and in prison set an example for hundreds of young American captives. When they were starving he stole food for them. If the men needed encouragement he defied prison rules and prayed with them. When the communist guards mocked his faith in God, the chaplain publicly defended his beliefs. When Kapaun became sick, the communists denied him medicine and watched him die in their vermin-infested "hospital." However, they could not extinguish the memories of how he served other prisoners. The army awarded the chaplain the Distinguished Service Cross and the Vatican named him "Servant of God." This book is a well-documented biography of an extraordinary person." This book does more than that though. Through reading the life story of this farm boy from Kansas, who became a priest and twice volunteered for active service as a military Chaplin is inspiration. This book is a challenge. It will challenge our simple life, and our faith. While reading this book and looking at Emil's example I have found myself praying more, trying harder to be an example each and every day. Giving 100% to my work, my co-worker's and my friends and family. The first three quarters of the book is the back story. Emil's life up and including Capture by the Chinese army in North Korea. The last part of the book is life in prison camps and as a POW. Emil was a man's man, he was kind, generous, caring and he lived to serve. This story has so inspired me I have already picked up another biography to read. His canonization process is underway. And I hope to see it completed. The words others spoke of him, other Christians, Jews, even Muslims and of course Catholics attest to his influence on all he met. And based on the samples of his writings in this book, I can only hope that someday we will see published volumes of his letters, sermons or academic work. This book was an incredible read. To witness someone living such character in the face of the terrible conditions can give hope to all of us who strive to live and be more for God. When it comes to finishing series sometimes I hesitate to read the last book. This was one of those times. I read books 1 and 2 as soon as they came out but for some reason it took me a long time to read book three. It part I had heard that the author hoped to make 4 books and had to cap the series because of the publisher. And in part after the second book I could just not see how it could all tie together. 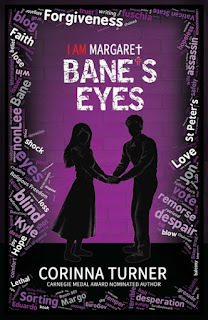 I am really glad I finally picked it up and finished it, Barry Lyga did it again and crafted an amazing end to a series. 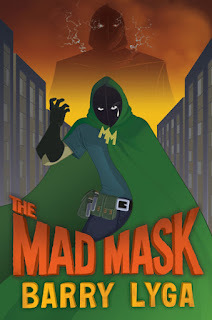 In this final volume Kyle Camden is not himself. He regrets his actions for the first time. He cannot hardly look at his best friend let alone talk to her. 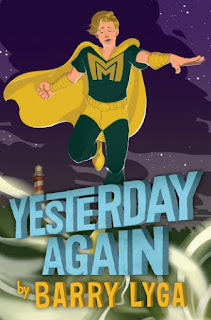 He is focused on Mighty Mike still but now also fascinated with finding a way to undo his mistakes and ease his regret by going back in time. But things do not always go as planned, especially for a super genius and his ipod with intelligence to match. Planning to head back in time after constructing a time machine from an old motorcycle and lots of electronics. But he overshoots and ends up in 1987. Meeting a younger version of the Sheriff Munroe, and even his father. 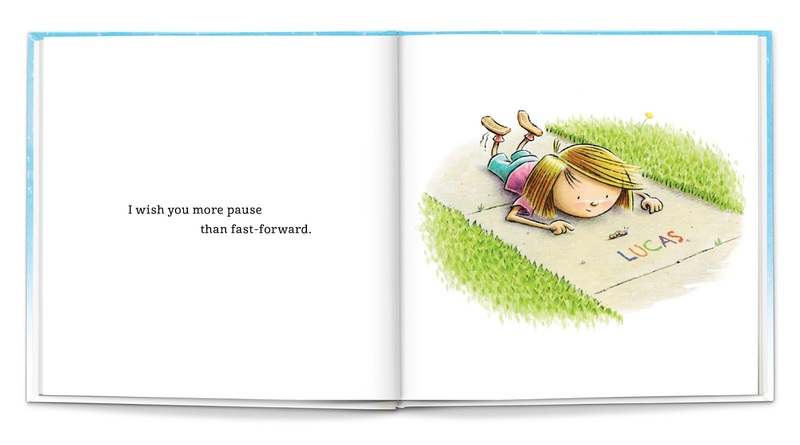 In part this book reads as homage to Back to the Future, and in part like Meet the Robinsons. The story throws some interesting twists. And in fact I would say they are 3 great surprises in this book. It was a great read and As mentioned earlier I should have read it much sooner. If you have read the earlier books, you owe it to yourself to see the story through. 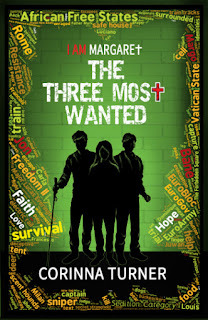 If you have not this trilogy is well worth the time. 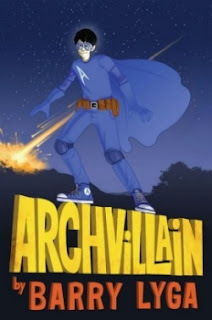 So read them and find out about Archvillain, Archnemesis and Project Irony! My youngest daughter pulled this off the shelf to read before bed. I do not even recall where we got this book from. But I am so glad she picked it for us to read. It was a wonderful little book. It is a series of wishes, and to be honest they resonate with prayers I pray for my children. 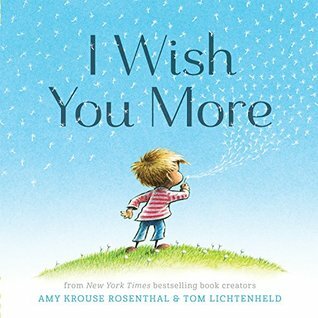 Amy has written a book that captures the essence of being a good parent, teacher, or caregiver. We always whish the best for those in our care. We want what is best for those in our life. Sometimes it is hard to explain that to children, but this book does an excellent job of capturing that sentiment and portraying it in a way that the children understand and can latch onto. The illustrations are wonderful. 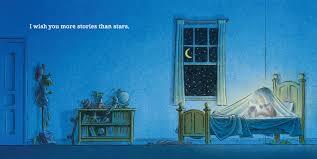 Tom Lichtenheld does an amazing job of capturing the sentiment of the wishes and childhood dreams. 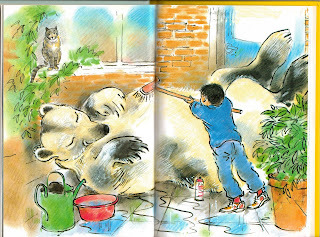 The illustrations are bright, cheerful and fun. My daughter loves the pictures and it became an instant favorite. We have read this a few nights in a row now and I am sure it will be a favorite for a long time to come. It is an excellent little read and with the 41 years of age difference both my daughter and I highly recommend it. I must be honest and state I am not a boxer, or MMA fighter. But the gym at work has both a heavy bag and speed bag that I have enjoyed using over the last year. When I got the chance to give these a try, I jumped at it. They are much better than the community ones I had been using. They have a nice weight and feel. They have more wrist support than other gloves I have used. These gloves come in numerous color combinations. If you are going to be using them for sparring or bag work I would stick with the darker color combinations. White or other light colors look grungy pretty quick, as I have seen often at the gym. I got the 16oz gloves and really should have gone with the 14. 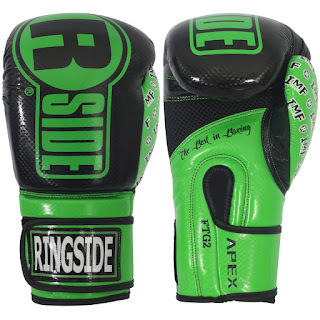 Pay close attention to the sizing chart on the ringside site. I have used these every day this week to spend time on the heavy bag. They are comfortable, and convenient. The Velcro strap is perfect for training by yourself or quick changes. These come in at a great price point for the casual enthusiast, they are a little more expensive than some but also much cheaper then really high end gear. The construction is of a high quality and I see myself using these for many years to come. My kids loved trying these when they came in, and even my wife gave them a go and loved the feel of the gloves and throwing a few punches. 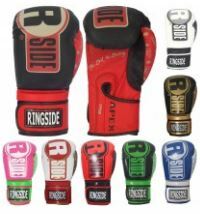 I can recommend these gloves with confidence for their intended purpose, sparring or bag work. This was not an easy book to read. It was not a fun book to read. But it was a very important book to read! It takes the events from the news of the Boko Haram Chibok school girls' kidnappings and recasts it set in England. A group of girls from a British academy and are quickly transported off continent. Often while reading this book I thought about Matthew McConaughey as Jake Tyler Brigance in the film adaption of A Time to Kill. When during the trial he tells the story of the attack and then ends with 'And now imagine she is white!' I could not help but wonder. If Boko Haram had kidnapped European girls if they would have been recovered by now, would we still be hunting for them? The story is gripping, the events terrible. And as we read this fictionalized version we cannot help but imagine the real life terrors. As a father of daughters I cannot imagine anything worse. There were times I was reading this book where my stomach was in my throat. There were times when I wanted to quit reading, but the subject was too important to take the easy way out. The book really got me praying, for the Chibok school girls, for all victims of violence. I would not want my children reading this book any time soon. It is not for the faint of heart. And even though it is not explicit in the violence the women face, it leaves one disturbed on many levels. The story is written in a series of first person narratives, often jumping back and forth from characters and locations and across plot lines. The story is poignant, powerful and profoundly moving. Turner does an amazing job of presenting many different faith traditions through different characters in this book. Those who are horrified but what their fellow believers have done, to those of a number of different faiths and how they respond to this situation. And though she is a Catholic author and the main theme is a Catholic story it is incredibly well written with respect to other beliefs. Corinna Turner was troubled by these events and these questions. 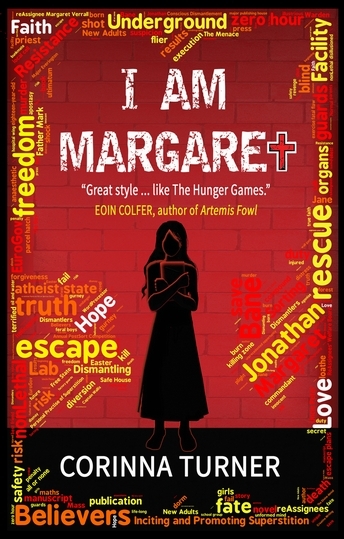 Her way of helping was to write this book and donate the proceeds to Aid to the Church in Need. It also serves as a reminder that most of those girls are still missing. And to bring them back to mind. I do not lightly recommend this book. And it is not for all readers. And yet I know that reading this fictionalized version of real events has brought me to my knees in prayer and have forever left a mark upon me.